There is a wealth of information and instruction about sewing, fit, patternmaking, draping and fashion design “out there,” but you have to know where to look for it. After all, the bookstores bury a smattering of sewing books among books on other crafts crowded into a back corner, and all of those on display are geared toward beginners. What is someone who is returning to sewing or hungry to advance beyond beginner to do? On this page, we are building a guide to some of the books, DVDs and online resources that can help you expand your knowledge and, with practice, refine your skills. There is a lot of ground to cover here, so we will be building this page over time. If you don’t see your favorites covered, please post a comment and let us know about it. If you are returning to sewing after a long hiatus and you think “sloper” is a skiing term or you are ready to upgrade your skills from a beginning sewing class or a long-ago home economics course, Palmer/Pletsch has books and DVDs that are just the ticket. This reviewer has all but worn out her copy of the book Pants for Real People, which gives clearly-illustrated, detailed instructions on every aspect of constructing and fitting all types of pants. Many of the topics covered here, such as the various methods of zipper insertion and making different types of pockets, are applicable to other garments as well. If a jacket is on your list of new frontiers to conquer, the book and companion DVD Jackets for Real People are indispensable. Watching this DVD is like having sewing teacher Marta Alto take you by the hand and lead you through the entire process of making a jacket. Follow along and you will end up with something you can be proud of. 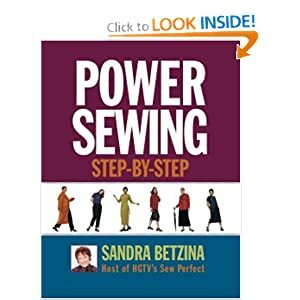 For someone who already knows how to sew and wants to raise the bar from basic to more professional results, Sandra Betzina’s Power Sewing Step by Step is an excellent guide. 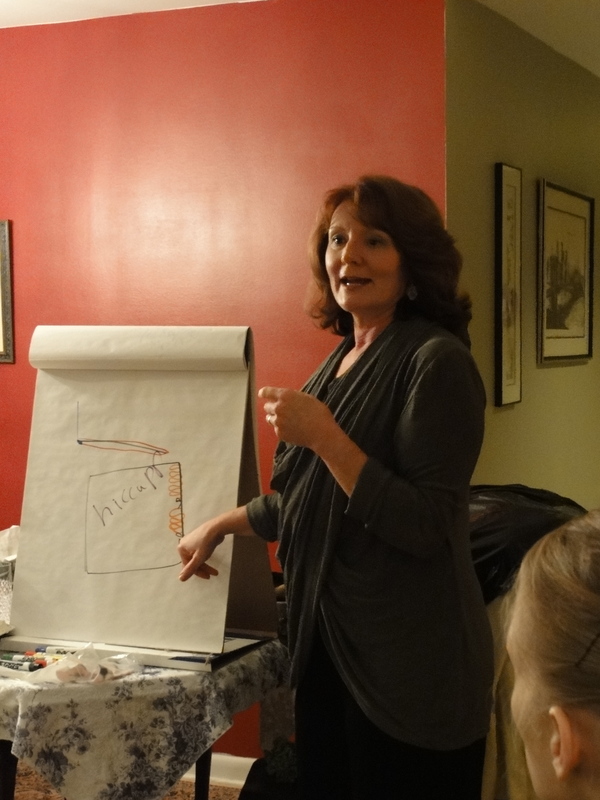 She starts each chapter with an overview of a particular type of garment, then covers the key steps in detail. This reviewer will admit to sometimes getting a bit lost or wishing there were a picture showing an in-between step that has been omitted, which is why this book is recommended for experienced sewers. Sandra Betzina’s approach is to offer shortcuts where they won’t affect the results and prescribe traditional techniques (such as basting) where it makes an appreciable difference. Her DVDs are chock full of information on a variety of topics, so much so that you might find yourself watching a few segments at a time to avoid information overload. Her web TV show Power Sewing follows the same format, but comes in shorter episodes and thus are easier to absorb. Bottom line, you can learn a lot from Sandra Betzina and her engaging manner makes her fun to watch and inspires you to try something new and challenging. The motto of Islander Sewing Systems is (or was at one time) “no basting, no pins, no kidding!” The late Margaret Islander was quick to point out that her method, in which she adapted apparel industry production techniques for the home sewer, doesn’t eliminate the use of pins in all situations, but it teaches you how to use your hands to control and guide fabric through the sewing machine. The method also teaches you to trim most seam allowances down to 1/4″, thus eliminating the step of trimming after sewing seams and 5/8″. Margaret Islander was also a pioneer in putting her sewing lessons on video. Her niece, Janet Pray, took over the company when Margaret retired and converted the video library to DVDs. In doing so, she took the extra step of dividing the videos into chapters so you can play a single segment. The first two videos in the series, Industrial Shortcuts for Home Sewing and Industrial Shortcuts II, give you everything you need to transform your every-day sewing. In Volume I, Margaret invites you to pull up your sewing machine and sew along with her. She takes you through the method, showing you how to position your hands and assuring you that your eye soon will be trained to know what 1/4″ looks like. In Volume II, she sews a man’s shirt from start to finish and assures you her methods can be applied to a woman’s shirt or blouse just as successfully (she’s right about that). You can see a You Tube video clip of Janet demonstrating the technique of easing together two unequal strips of fabric on the Islander web site. The Threads Sewing Guide is our new favorite book that covers all the basics for beginners and is a great resource for experienced sewers who need a refresher on specifics. It is written in the clear, easy-to-follow style we’ve come to expect from the editors of Threads Magazine and is illustrated with over a thousand photographs and more than 200 drawings. It also includes a section on the order of garment construction which, until now, was only available in Connie Crawford’s textbook (see the next paragraph). Among the classic reference books that cover the basics of garment construction is Connie Crawford’s textbook, A Guide to Fashion Sewing. It’s required reading in fashion design schools, and for good reason. Among the most eye-opening information for home sewers in this book is the section on the order of garment construction. We are told not to follow the order of construction on commercial pattern instruction sheets. Instead, we should sew flat for as long as possible, which means inserting the zipper early in the process. Like all college textbooks, this one is pricey, but used copies of earlier editions are available on the Internet. A basic guide geared to the home sewer that has stood the test of time is the Reader’s Digest Complete Guide to Sewing. Of course, we always take words like “Complete” in titles with a grain of salt, but this book does cover a lot of ground. It should be noted that some sewing teachers rely on earlier editions of this book, and that the latest edition omits the section on tailoring, which was covered in earlier editions. If you are interested in that information, earlier editions are available from used bookstores. The single most important serger resource for everyone is your machine’s owners manual. Yes, that’s like hearing “eat your vegetables before even thinking about dessert,” but there’s no getting around it. The next most valuable resource isn’t a book or DVD. It’s a teacher we are fortunate enough to have in our area, Mac Berg. Mac intends to publish a book or animated video that tells her unforgettable tale about the people who live in our sergers and how they interact to form stitches, but until she does you need to see and hear it from her in person. Mac gives a three-day class at Vogue Fabrics (the Evanston location) called “As the Serger Turns,” and she gives the lecture version to various groups, including ASG. After taking Mac’s class, the books make sense. As for the books, there are several to choose from. All of them cover the basics. Once they get into the more advanced techniques, most of the serger books focus on home dec projects. Serger Secrets is an exception. Its subtitle is “High-Fashion Techniques for Creating Great-Looking Clothes.” It is filled with gorgeous photographs that break down each technique in detailed, easy-to-follow steps. It also has lots of sidebars that give you a “Fast Fix” if you encounter a common problem and a sidebar in each technique that lists settings and materials, so those are easy to spot. The last chapter is entitled “Problem Solver,” and the book is very well indexed. All in all, this is a very user-friendly resource for taking serging skills to a higher level. An excellent general serging book is Nancy Zieman’s Serge with Confidence. She now has a companion DVD for the book, which this reviewer has not seen. (Don’t forget your ASG discount when you order from Nancy’s Notions.) This book is well-illustrated and easy to follow. It also includes information about the various presser feet available for the serger to perform specific tasks. The projects in the later chapters include a mixture of garment trims, accessories and home dec items. David Page Coffin’s book and CD, Shirtmaking: Developing Skills for Fine Sewing, provides a comprehensive guide to constructing tailored shirts and women’s blouses worthy of a custom clothier. The fine points that require more than the written word and static pictures to understand are demonstrated on the accompanying CD, which combines video demonstrations by the author with animated graphics that illustrate clearly the exact steps to be mastered. The author urges the reader to make samples and practice each of the techniques before using them on an actual project. He also includes a section on recommended tools and a resource list and gives advice about where to find high quality shirting. Many of the techniques taught in this book can be applied to other types of projects. A streamlined approach to shirtmaking is provided in the Palmer/Pletsch DVD Learn to Sew a Shirt or Blouse. Over the course of two hours (and seven minutes), Marta Alto demonstrates fitting and constructing an entire shirt. She breaks down the construction process into manageable blocks of sewing and pressing time and leaves the viewer with the impression that sewing a shirt is no big deal. She also shows how to attach a convertible collar on blouses and camp shirts and how to set in blouse sleeves that have more ease than those in tailored shirts. She goes over how to add a hidden placket to a shirt or blouse pattern and gives tips for working with slippery and drapey fabrics. The video includes examples of variations that can be achieved with shirt patterns (lengthen for a dress, different types of hems, different treatments for different types of fabrics) and embellishment options such as piping, embroidery, topstitching and wing needle stitching. We are continuing to build this page. Look for sections on Couture Sewing and Fit very soon. And please talk back to us–tell us what you think and what else you want to read about. What a great resource, Wendy- I am really looking forward to hearing more from you about which books are useful vs. not. I do have Power Sewing step-by-step and although I haven’t used it much (yet) I have found it useful. I’m glad you find this page useful. I’ll do my best to update it frequently. I hope to see you at our meetings again soon. We miss you!